Another year, another declaration of resolutions. 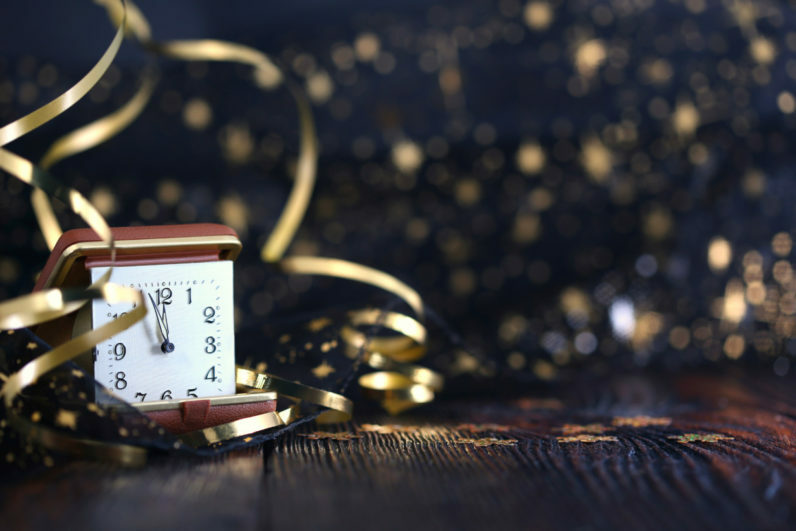 From getting healthy to volunteering more, people use the new year as a reason to start over or just plain start doing something. In fact, 45 percent of Americans usually make at least one resolution. Sadly, only a whopping eight percent will actually be successful in making said changes. TNW is no different – in both making resolutions and failing at them. Remember those ‘what we’re reading’ posts? No? Exactly. But that isn’t stopping us from trying again. Perhaps our admittance of being only human will inspire you to do the same. On Dimi’s list of resolutions, the one that means the most to him is to visit more countries. Having moved to the Netherlands from Curaçao a few years ago, he still has quite a few European cities he wants to visit. His app of choice to help him fulfil his travel dreams? Time Out. Not is it a great directory of what to do in cities around the world, you can also book reservations and concert tickets to create customized itineraries. And don’t worry about data roaming charges… the apps are built to function entirely offline. Our UK-based tech writer admits to having project ADD. He’ll start something, but then drop it because something shinier and more exciting comes along. His goal for 2017 is to start something and actually finish it. In this case, a hodge-podge of random technologies. And he’s using various productivity apps to help. From Trello to break the project up into little, manageable deliverables, to Github so he can visualize progress and store his source code. Can’t wait to see what he creates. Those of you who’ve been readers of TNW for a while will know this badass former Editor in Chief. I may be a bit biased, but when Hussey says ‘this is the app to use’ I download it on every device I own. And one of his New Year’s Resolutions: Start using Ecosia instead of Google for searching. 80 percent of the revenue generated from the search engine goes into planting trees and helping communities. So if you’re resolutions include ‘be a better person and help the environment’ then you’re golden. If that inner skeptic alarm is going off, they publish monthly accounts of how much work they’ve done. Plus, every time you search, it tells you how many trees you personally have helped plant. So really, you can’t lose. Our in-house tinkerer, Otto, loves to build things. With a Theoretical Physics degree, he can’t help but always think of the next project. Last year he was all about the Raspberry Pi. This year he’s got his sights set on doing more hardware stuff. In fact, he’s already ordered all the components for a smart mirror. This crazy California girl loves the Netherlands so much, not only did she study abroad here, she met a Dutchy, fell in love, and now calls Utrecht home. However, in the land of ‘hard Gs’ (the sound, not the gangstas) Dutch is a difficult language. Britt’s plan for 2017? Eindelijk de Nederlandse Taal goed beheersen (that’s ‘master Dutch’ for y’all not in the know). How? With Duolingo. As many of the expats in the office will tell you, that’s no easy feat. But with the help of one of the world’s best language apps (and it’s free! ), the gamification of language learning will help make it a done deal. And with a renewed sense of purpose after Luis von Ahn – Duolingo founder and CEO – TNW NYC talk, I think we’re all feeling a little bit excited to step out of our comfort zones. I’m an expat from America. And thanks to lekkere bitterballen, amazing cheese, and great beer, my main goal for 2017 is to lose weight. Though I’ve been a regular user of MyFitnessPal, Runkeeper, and a plethora of other apps, I’m hoping that my Polar A360 will finally do the trick. I’ve actually been consistently wearing the device for about three months now – having pitted it against other wearables such as FitBit (water resistant, but you shouldn’t wear it in the shower), Garmin (kinda clunky), and TomTom (great UI, but not the most beautiful thing to wear every day). While recently I’ve encountered some pairing issues, when the A360 works, it works well. Sleep, steps, activity, heart rate… it’s got you covered. It’s an attractive, slim, modern fitness tracker you can even swim in. Oh, and I also vow to stop smoking in 2017. Where you may see a year as a long time, after having the nasty habit for over two decades, quitting in only 365 days is very daunting. But I’ve said it now, so y’all need to hold me to it. Not ready to jump in head first, but still want to make changes to your life? Perhaps technology is getting the better of you. If you’re looking for small steps you can accomplish, chose one (or all) of the following resolutions to start the year off on the right track. What’s your resolution for 2017? Share it in the comment section. Keep us updated and you just might find yourself the star of a ‘how’s it going’ followup article. Who doesn’t love a success story?